American businessman Todd Chrisley knows best the path to becoming famous. The reality star struck gold landing Chrisley Knows Best on the USA Network in 2014. Now, he’s notorious for doling out unconventional wisdom and being wealthy. But the 49-year-old is known for a lot more than the hit show. So, why is Todd Chrisley famous? We know best about Todd Chrisley’s claim to fame. Todd Chrisley went from real estate to reality TV when he secured the entire brood a show on the USA Network. Chrisley Knows Best features Todd; his wife, Julie; his mother, Faye; and their kids, Chase, Savannah, and Grayson. Todd’s kids from his previous marriage, Kyle and Lindsie, were also part of the show. He worked on fulfilling his dream of being on TV by getting a network to film his family’s sumptuous lifestyle. 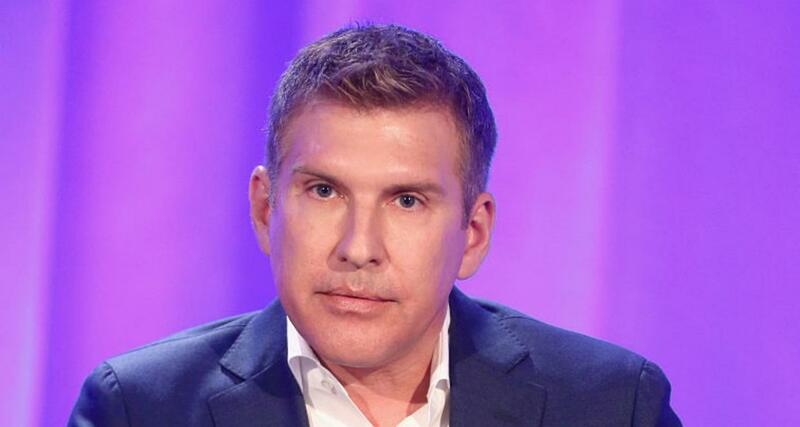 The USA Network got on board and Chrisley Knows Best premiered in 2014. Todd Chrisley’s show is now in its sixth season. It’s based on the family’s lifestyle in Georgia, and mostly centers around Todd as the unconventional patriarch of the family. As of season 6, the Chrisleys are in Nashville, Tennessee. The family projects a seemingly perfect image on the show, but they have dealt with a lot of drama off of it. The contrast between the Chrisleys show on TV and their notoriety in the media, along with Todd’s deadpan humor, makes Chrisley Knows Best an attraction. The Chrisleys are the poster family of the wealthy and luxurious. They are known to spend lavishly, and Todd even claimed the family had spent $300,000 on clothes annually in the show’s promos. A 2015 study revealed that the average American family spends $1,700 a year on clothes. For all his opulence, Todd keeps a surprisingly tight lid on his financials. Although he’s touted as a real estate mogul, there’s no clear source of income for the family. While married to his first wife Teresa, Todd ran a property business, buying and selling rundown homes. What is known about Todd’s financial history comes from a 2012 bankruptcy filing. Before he landed the show, his real estate management company, Chrisley Asset Management, went bankrupt. He filed for Chapter 7 Bankruptcy in 2012 citing $49.0 million in debt. As of now, Todd’s Chrisley’s net worth is estimated to be -$5.0 million. The family’s lifestyle is said to be paid for by Todd Chrisley’s wife’s hidden assets. Thanks to the success of the show, Todd Chrisley’s business expanded into a department store and a side career in country music. He even bagged his own talk show, According to Chrisley, too! Todd and his eldest son, Kyle, have displayed their estranged relationship in the first season of Chrisley Knows Best. Kyle has even accused Todd of trying to gain custody of his daughter, Chloe, to boost ratings. Todd, in turn, claimed that Kyle is “bipolar.” Kyle’s rehab stints and domestic assault allegations further strained their relationship. Eventually, Todd’s legal guardianship over Kyle ended. While Todd Chrisley’s son battled health issues, he and his wife, Julie, had custody of Chloe. But Todd pulled Chloe out of the show when Kyle reportedly demanded to get paid for letting his daughter appear on TV. Kyle and Chloe no longer appear on the show. And Todd’s daughter Lindsie also left the show after a falling out with her father. But Todd’s family drama doesn’t end there. His first marriage allegedly fell apart because of his controlling behavior. His brother’s ex-wife reportedly tried to extort money from Todd by threatening to sell information about the family to the media. Todd has had to address questions about his sexuality for a long time. He has proclaimed on multiple occasions that he’s not in the closet. Some of the rumors about Todd’s sexuality came from Kyle. But Todd continues to deny claims that he is gay. Even his first wife denies that Todd is gay. Todd was also facing sexual harassment lawsuits from employees at CAM a long time ago. But the lawsuit was settled out of court. Todd is a perfectionist patriarch who doesn’t tolerate dissension at work or home. And that usually ends with him spouting hilarious parenting witticisms. Todd raises his kids with an iron fist. “I’m not your dude, I’m your dad,” is his biggest parenting takeaway. That’s not to say the kids haven’t figured out a way to defy Todd and get under his skin. Their knack to disobey their father has spawned some of the best lines of the show! Don’t miss the latest Toddisms when Chrisley Knows Best airs on Tuesdays at 10:00 p.m. EST on the USA Network.